New Zealand films are traditionally bleak, depressing stories about lonely, suicidal characters lost in either an isolated, windswept place or a rundown city slum. The recurring themes are madness, man alone and dysfunctional relationships. No wonder local films have not been a success overseas – until recently. ‘Hinemoa‘ was the first New Zealand feature film. That was back in 1914, but it wasn’t until 1977 and 39 feature films later, that a New Zealand film reached American screens. 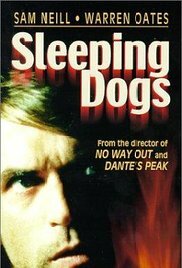 ‘Sleeping Dogs’ directed by Roger Donaldson and starring Sam Neill, is considered the film that launched a real film industry in New Zealand. Although 166 films have been made since this trailblazer, only a small number have had any impact in foreign markets. 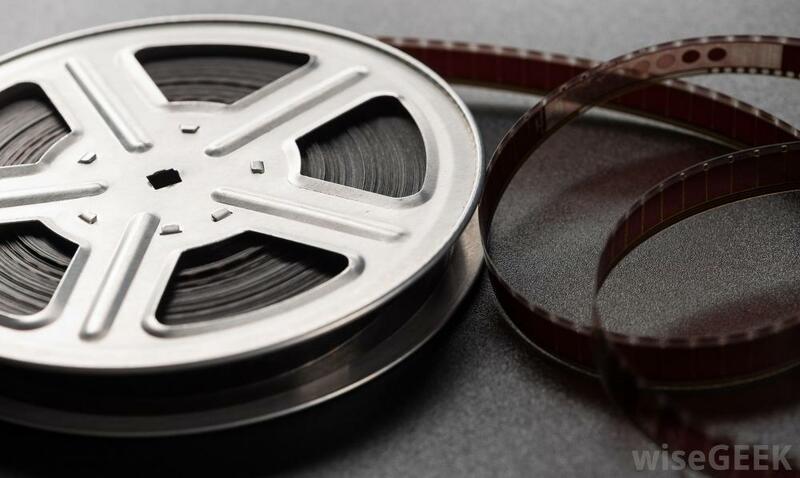 In the 1980s, international film companies discovered New Zealand as a dream location for their films and production crews began to arrive in increasing numbers. Within short distances, they had easy access to sparkling lakes, awesome fiords, gentle rolling countryside, primeval forests, wild, unspoiled rivers, towering snow capped mountains, boiling mud pools, long, empty beaches and smoldering volcanoes. To add to the scenic wonders, modern infrastructure and experienced local technicians were also available to handle complex production needs. James Cameron used this expertise during the production of ‘Avatar’. In 2003, the Taranaki region in the central North Island with the iconic volcano Mt. Egmont, doubled for 19th century Japan for ‘The Last Samurai’. New Zealand director, Vincent Ward was Executive Producer on this Hollywood production. In 2009, various North Island locations, including Lake Wakamaru in the Waikato, were used for the 3D movie, ‘Yogi Bear’. In the same year, ‘X-Men Origins: Wolverine’ used the dramatic locations around Queenstown to add to the visual impact of the film. Four years later, New Zealand’s ancient hinterland was chosen as a location for ‘Walking with Dinosaurs’ because the producers believed it resembled the world back in the time when these creatures lived. In the 1990s, Bollywood producers discovered New Zealand and featured the alpine plateaus and wild open spaces of Central Otago in a number of their films. 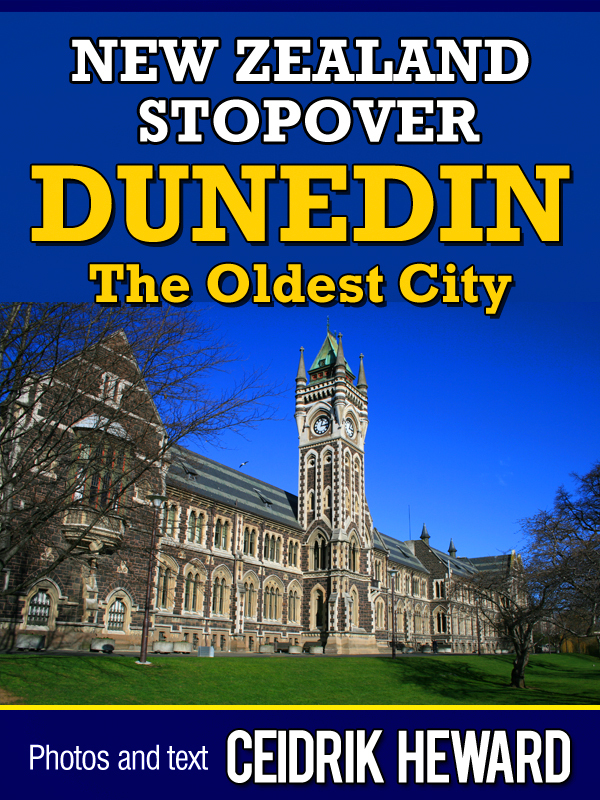 By 2014, a total of 103 feature films, both local and international, had been shot in New Zealand. Inspired by the country’s landscape appearing in big budget movies, television producers decided New Zealand’s unique variety of scenery would benefit them too. The popular sword and sand series ‘Spartacus’ and ‘Young Hercules’, were both filmed around Auckland. 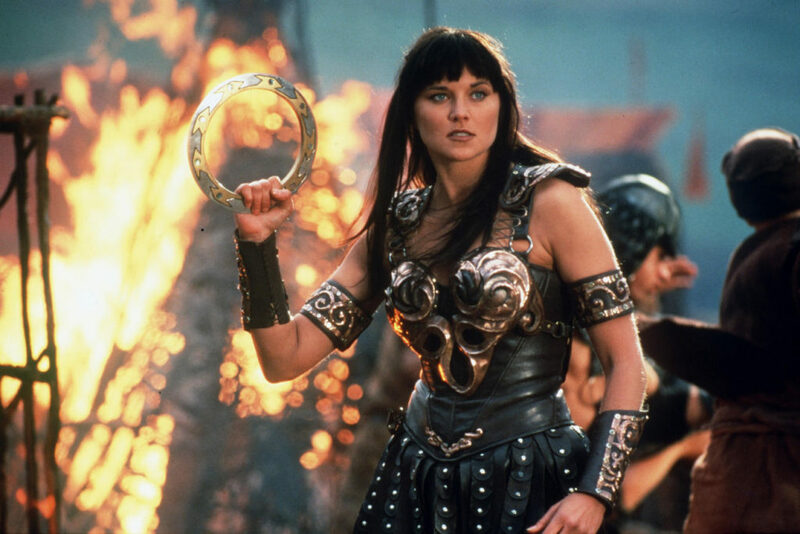 ‘Xena, Warrior Princess’ used the Waitakere Regional Park that borders western Auckland for many of its action scenes and made local actress Lucy Lawless an international star. Since 2002, Walt Disney has used Auckland as a location for 7 series of ‘Power Rangers’. Commercial producers followed the television crews and in the past decade, numerous big budget international commercials have used spectacular New Zealand settings to sell products from cars to cosmetics, computer technology to cameras and mobile phones. This Samsung ad for world screening was shot on a New Zealand beach. New Zealanders have made their name on the international scene in many fields. Film making is no exception. In 2001, Andrew Adamson directed the mammoth box office hit, ‘Shrek’ . A sequel, ‘Shrek2‘ came 3 years later with ‘Shrek the Third’ in 2007. He also directed 3 successful ‘Chronicles of Narnia’ films. ‘The Lion, the Witch and the Wardrobe’, ‘Prince Caspian’ and ‘The Voyage of the Dawn Treader’ . Roger Donaldson has directed 17 features including Tom Cruise in ‘Cocktail’, the Brad Pitt vehicle ‘No Way Out’, Mel Gibson in ‘The Bounty’, Nicholas Cage in ‘Seeking Justice’ and Colin Farrell in 2003’s ‘The Recruit’. Jane Campion directed Nichole Kidman in ‘Portrait of a Lady’ in 1996. Three years later, she directed Kate Winslet in ‘Holy Smoke’. She also won 3 Academy Awards in 1993 for her dark, unrelentingly depressing New Zealand film, ‘The Piano’. The 7 Hollywood films Lee Tamahori directed include the James Bond film, ‘Die Another Day’ in 2002 and ‘Next’ with Nicholas cage in 2007. Vincent Ward directed 8 films including Hollywood’s ‘Alien3‘ and the 1988 Robin Williams film ‘What Dreams May Come’ which won an Academy Award for Best Visual Effects. As impressive as these achievements are, they are not in the same league as another Kiwi director who has made an impression on Hollywood. 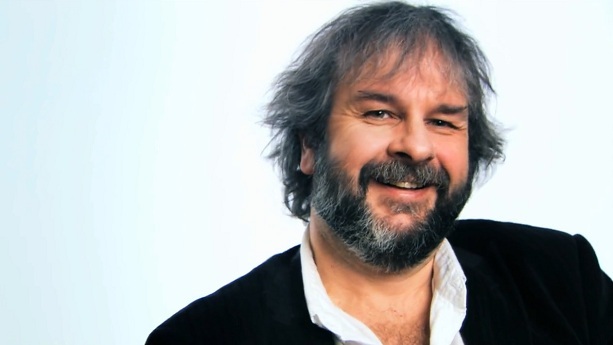 It has been said that Peter Jackson’s first film had a budget of just $15.00. In other words, it was a ‘no budget’ undertaking. From that first experience with creating images for the screen, he discovered his passion. Peter’s films have earned over 6 billion dollars at the international box office with 5 of them among the 50 highest grossing films in history. This impressive achievement has made Peter the third most successful director of all time behind James Cameron and Steven Spielberg. The ‘Lord of the Rings’ trilogy is the highest grossing film trilogy to date with ‘Return of the King’ earning over 1 billion dollars at the box office. ‘The Hobbit: An Unexpected Journey’ also topped 1 billion dollars at the box office. Inspired by ‘The 7th Voyage of Sinbad’ and other stop motion animated films, 9 year old Peter obtained a movie camera and attempted, using similar techniques, to remake ‘King Kong’, the film that had truly inspired him. In 2005, Peter’s second attempt at bringing ‘King Kong’ to the screen was released. This time, he had $207 million to work with. This version would eventually make $551 million dollars worldwide, making it the fourth highest grossing film for Universal Studios. Making his first ‘King Kong’ was so much fun that Peter continued making shorts. By the time he was 15, his films were achieving success with a 20 minute short, ‘The Valley’ making it to TV and winning an award for originality. During the weekends throughout 1987, Peter used a 16mm camera and worked with friends to shoot ‘Bad Taste’ his first feature film. He also directed, produced and wrote this splatter movie that went on to become a cult classic. ‘Bad Taste’ explicitly portrays the way a group of aliens go about collecting human flesh for hamburgers. Peter successfully mixed horror, fantasy, science fiction and comedy to create an entertaining tale. Like his epic fantasy films to come, he immensely enjoyed the actual film making process, maybe this is a major contributing factor to the success of his films. 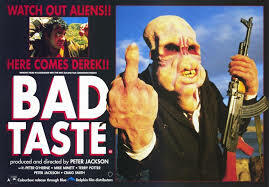 ‘Bad Taste’ gave Peter Jackson credibility in the film industry and allowed him to move forward with a film career. Armed with a budget of $750.000, Peter co-wrote and directed another quirky film. Although ‘Meet The Feebles’ wasn’t initially a box office success, it did go on to become another cult classic. In 1992, ‘Braindead’ was released. Re-titled ‘Dead Alive’ outside New Zealand, this was a simple love story between a rather nerdy guy and a hopelessly innocent girl. The only problem he had was keeping his flesh eating zombie mother away from his girlfriend. Again, Peter was able to indulge his passion for mayhem, gore and laughs. “Dark, stylish, and captivating, Heavenly Creatures signals both the auspicious debut of Kate Winslet and the arrival of Peter Jackson as more than just a cult director.” The Tomatometer, a reputable guide to a film’s content, gave it 94 percent with an audience approval of 84 percent. Set in 1954, the film details the strange friendship between two teenage girls and their plot to murder one of their mothers. The true story ends when the mother is murdered. Although the subject matter is dark, Peter managed to create a visually beautiful film. It was nominated for an Academy Award for Best Screenplay but lost to ‘Pulp Fiction’. Peter did however, win the London Film Critics Circle Award for Director of the Year. 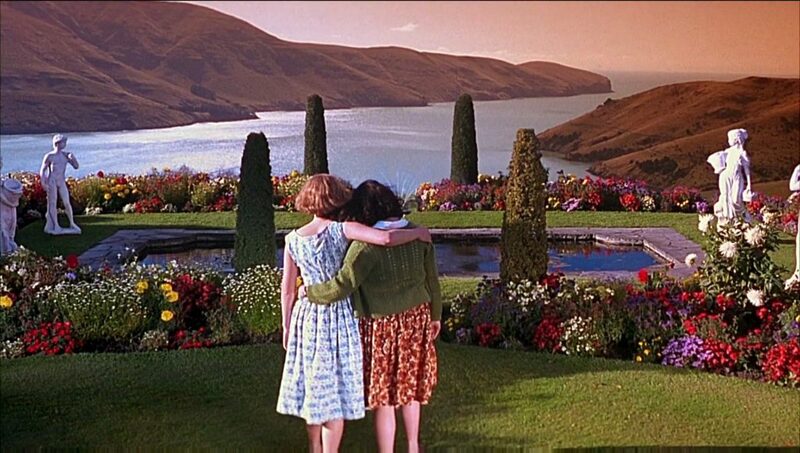 ‘Heavenly Creatures’ remains my favourite New Zealand film. ‘The Frighteners’ was released in 1997. This comedy/ horror received mixed reviews and is perhaps Peter’s least successful film. It did, however demonstrate his skill with special effects and must have been a valuable exercise for him. With ‘Heavenly Creatures’ receiving international recognition, Peter decided it was time to pitch his pet project ‘The Hobbit’ to Hollywood but he discovered there was an issue over who held the rights. However, this problem didn’t exist with ‘Lord of the Rings’ so he pitched this title to Hollywood studio bosses. He knew it would be a challenge, but he believed in his own abilities and this gave him the confidence to go for the big time. Back in New Zealand, Peter and his team produced an impressive show tape showing the effort they had already put into developing the project. They hopped on a plane and door knocked all the studios in Hollywood but none was interested. With only New Line Cinema left, Peter was concerned they would also say “no”. He kept putting off the one appointment he had with them. In a recent interview with Indiewire, he was remarkably candid when he admitted: “We put on this whole pretense that ‘Lord of the Rings’ was eagerly sought after from other studios which was complete crap!” He had the crucial meeting with New Line. They loved his proposal. In fact, their executives suggested Peter make three films, one from each book in Tolkien’s ‘Lord of the Rings’ series. The most successful film trilogy in history was born. Taika Waititi is the bright new arrival on the New Zealand film scene. In fact, some have suggested he will be as successful as Peter Jackson. His first short film ‘Two Cars. One Night’ was nominated for an Academy Award. After this auspicious start to his film career, Taika made his first feature film ‘Eagle vs Shark’ which had a limited American release. However, in 2010 his second feature, ‘Boy’ was nominated for a Grand Jury Prize at the Sundance Film Festival and became a big hit with Kiwi audiences. It also received glowing reviews from a number of America’s most respected film critics. His last film, ‘Hunt for the Wilderpeople’ has become the most successful New Zealand film at home and has also been screened in many overseas markets. Taika Waititi’s unique New Zealand humour has become a hit with international audiences and as a result, this young Kiwi director has been called to Hollywood where he is currently directing ‘Thor: Ragnarok’ for Marvel Studios due for world release this year. The ‘Sleeping Dogs’ have certainly awoken and audiences around the world can look forward to more unique movies from New Zealand film directors.